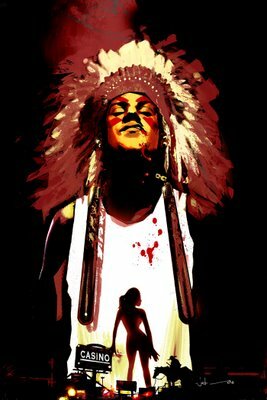 One of the highlights of the January solicitations is the first issue of Scalped, the new Vertigo crime drama by Jason Aaron (The Other Side) and R.M. Guéra (Heavy Metal), with covers by one of my favorite artists, Jock. 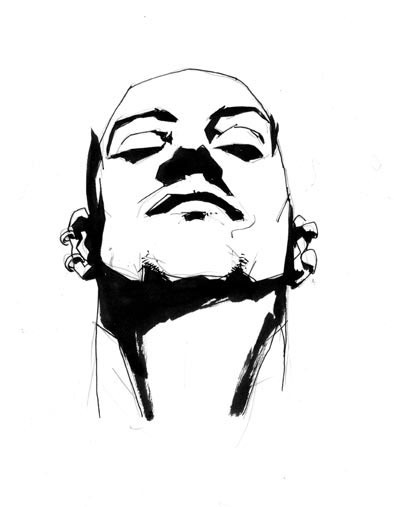 Best known for his collaboration with writer Andy Diggle on Vertigo’s The Losers, Jock is an Eisner Award-nominated cover artist whose vibrant illustrations have fronted that series, as well as Batman, Nightwing, Catwoman, Detective Comics, Rush City and others. His upcoming projects include Faker with Mike Carey, and Green Arrow: Year One with Diggle. Scalped #1 is one of my favorite Jock covers to date. It’s not as dynamic as his work on Rush City, or as “designerly” as some of his work on The Losers. But it exudes attitude and quickly establishes the mood and setting for the story. It’s stunning. Tired and worn out following the long and busy 2005 San Diego Comic-Con, artist Cameron Stewart found himself not on a flight back home to Toronto, but to Vietnam. For the rest of the article, pick up Wizard Magazine #182, available now. Jason Aaron's story is the stuff that aspiring comic book writers' dreams are made of: his very first published comics work featured Marvel's resident canuckle head, Wolverine. But while the 2002 Marvel Comics Talent Search winner described that as a “very cool experience” that he'd be only too eager to repeat, as of last year Aaron has found a new home at DC's Vertigo. “For now, Vertigo is where I belong,” Aaron told CBR News. January 3, 2007 looks to be a good day for me, since that's when both THE OTHER SIDE #4 and SCALPED #1 will hit store shelves. Here's the cover for SCALPED, courtesy of Jock. And the official solicitation copy is available here. THE OTHER SIDE #1 rates 10 out of 10. THE OTHER SIDE #1 is Highly Recommended! "After reading THE OTHER SIDE #1, it’s pretty clear why folks would feel strongly about the book. Aaron takes familiar subject matter, a story and setting that has been covered pretty heavily, and makes it at once intense, dark, horrific and completely engaging for the reader." A long time in the making, THE OTHER SIDE #1 is finally out, and the response so far has been phenomenal. IGN calls the book a "Must Have" and makes it their Top Pick of the Week: "Cameron Stewart, who was drawing talking fish not long ago, seems to have experienced an artistic rebirth for this series. His work is simply incredible. And as for Jason Aaron, his comic-book debut is one of the strongest I've read. He's going to be a superstar in a few years." Comic Pants says, "this is among the best goddamn Vietnam stories I’ve ever read. Twisted, real, like a punch in the gut, but with a dark sense of humor and imaginative element that makes it not just intense but intensely readable. Take a great story, pair it with great art from Cameron Stewart, full of blood and guts and jungles and training camps, and you’ve got the recipe for one hell of a character-driven war comic. Think you’ve seen all the Vietnam War stories you needed to see? Take a trip to The Other Side and see how wrong you were. Outstanding." 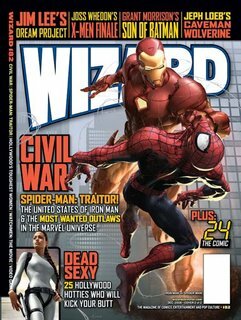 Wizard Universe says, "Check out career-best artwork from Cameron Stewart in this grounded and incredibly affecting look at the Vietnam War... Jason Aaron's distinctive dialogue is as raw and vivid as anything in 'Full Metal Jacket'..."
Brian Wood, writer of DMZ, says, "THIS week, make sure you buy THE OTHER SIDE #1 (Vertigo). This gets my Highest Personal Recommendation. I read the proposal years ago, read the first script, read an advance copy of the first issue... and it keeps getting better each time. The first issue is really dense, it really delivers. It's gonna hit big, and I feel it's worth reading monthly." For the rest of my On the Ledge column, click here. On Wednesday, Vertigo, an imprint of DC Comics, will release the first issue of "The Other Side," a mini-series about the horrors of the Vietnam War. It tells the parallel stories of two 19-year-old farm boys — one from the United States, one from Vietnam — who become soldiers in the conflict. The series's writer, Jason Aaron, is a cousin of Gustav Hasford, whose novel "The Short-Timers" was adapted into the film "Full Metal Jacket." The series's artist, Cameron Stewart, traveled to Vietnam for inspiration. "It was enormously helpful," he said. "I don't think I could've done the job that I've been doing without it." Mr. Aaron's next series, "Scalped," about a modern-day Indian reservation in South Dakota and its conflict with the United States government, begins in January and will be a continuing series.